Right Part. Right Place. Right Time. Lowest Cost. Missing parts. Excess inventory. Persistent obsolescence. Low first-time fix rates. Analyzing the relationships between multiple stocking locations. Pulling data from ERPs, maintenance systems, and other sources to predict service parts demand. Developing stocking plans based on service level objectives, budgetary limitations, and forecasts. Develop causal forecasts based on asset population and utilization data. Schedule serialized life-limited parts removals. Adjust stocking plans to reflect changes to your install base. 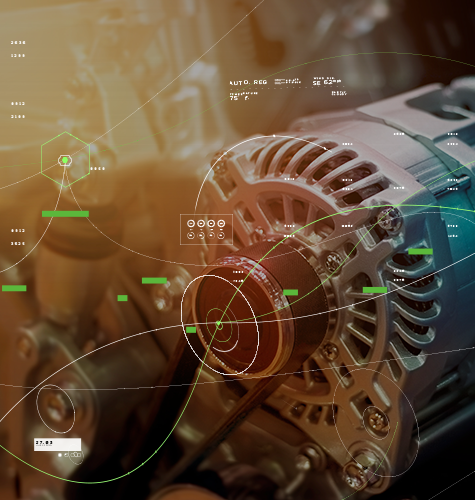 Discover how organizations in A&D, heavy industry, and other industries utilize our service parts management solution to optimize their service supply chains. Explore eBooks, white papers, articles, and other materials authored by the industry’s top service parts thinkers, including Vinod Arekar, Vipul Agrawal, and Ed Wodarski. Need a Service Parts Management Tool? Ask your VP of Service, parts planners, and technicians these 15 questions to determine whether you need a service parts management solution. How you manage service parts can mean the difference between making or losing money in the aftermarket. This webinar covers the benefits of integrating MRO software and service parts management tools, outlining the impact on aircraft availability. PTC’s Vinod Arekar and Steven Caldwell detail how multi-echelon optimization works as well as discuss a few client use cases. The Service Council reveals how top-performing service organizations are leveraging their parts supply chains to sustain aftermarket growth. Read white papers, eBooks, infographics, and other content authored by some of the industry’s top service parts thinkers. Contact a service parts management expert to discuss how our solution can position your inventory as a strategic asset.